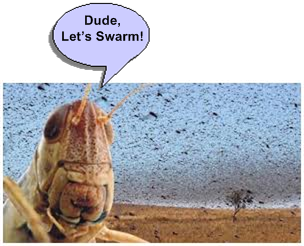 Home > technical	> Dude, Let’s Swarm! Whoo hoo! 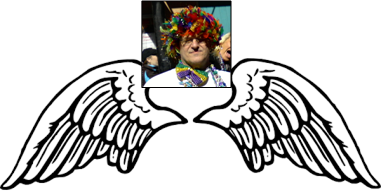 I just got back from a 3 day, $2,000 training course in “swarm programming.” After struggling to make it though the unforgiving syllabus, I earned my wings along with the unalienable right to practice in this new and exciting way of creating software. Hyper-productive Scrum teams are so yesterday. Turbo-charged swarm teams are the wave of the future! I found it strangely interesting that not one of my 30 (30 X $2K = 60K) classmates failed the course. But hey, we’re now ready and willing to swarm our way to success. There’s no stoppin’ us.